It's hard to read this Oklahoma Gazette article on alleged 9/11 hijack plotter Zacarias Moussaoui, without developing an immediate impression that his story is the deliberate creation of a stooge. And that's before you get to the part where he coincidentally meets later-to-be-beheaded Iraq 'hostage', Nick Berg. 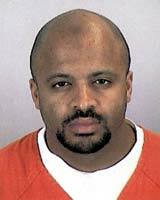 Note that Moussaoui is not claimed to have been involved in the main 9/11 attacks, but a planned seperate attack on the White House. That makes it easier to plant the patsy -unconnected to the other alleged conspirators. Hi Brenda, finally I am coming to fly hopefully with you. My plan is for tomorrow Friday the 23 via Chicago Flight no UA 5723 from Chicago (coming from London heathrow) Arriving at 17:35 local time. So I know that I give you short notice but it will be nice if somebody will be receiving me .Mr ZACARIAS (that my first name because E is not secure). Otherwise I will be staying in one of the hotel you kindly mention to me, and I will phone you on Saturday may be Monday if I am very tired. So take care and I hope to see you soon. That was a mundane communication in a reasonable tone, sure to excite little attention. Moussaoui was still at this point meant to operate under the radar. But his later May 23rd, 2002 email to the Pan Am International Flight Academy is an immediate red flag -designed to attract suspicion. "I am Mrs Zacariasl. Basically I need to know if you can help me achieve my Goal my dream. I would like to fly in a professional like manners one of the big airliners. I have to made my mind which of the followwing: Boeing 747, 757, 767, 777 and or Airbus A300 (it will depend on the cost and which one is easiest to learn). The level I would like to achieve is to be able to takeoff and land, to handle communication with ATC, to be able to successfully navigate from A to B (JFK to Heathrow for example). In a sense to be able to pilot one of these Big Bird, even if I am not a real professional pilot... I know it could be better but I am sire that you can do something. After all we are in AMERICA and everything is possible. Have a nice day, waiting for a positive fly." Then he paid his fees in $100 bills. No wonder they called in the FBI. But the FBI dropped the ball. A so-called "missed opportunity." They should rename him Lee Harvey Moussaoui. "An apparently unreliable operative," says the report. The reason the FBI and/or CIA couldn't stop the Al Qaida "highjackers" is because there was no real plan to fly planes into buildings. It seems as if these supposed terrorists were involved in some sort of intelligence operation and were either being set up as patsies, or were actual highjackers unaware of the real ramifications of what was about to take place. Why for instance would they take with them, to the airport, a manuel on how to fly a passenger jet, only to leave it behind in the rental car with a copy of the Koran? And why would the alleged ringleader Atta take a copy of his will, two pilots uniforms, and an exhortation note urging him to commit the deed (written in Arabic) in his luggage? And what are the odds that that very same luggage would not make it on to the second flight from Boston, to be conveniently left behind for the authorities to find. And what are we to make of reports that several of the alleged highjackers lived on military bases, and that some were connected to a Florida flight school involved with the CIA and drug trafficking? These are just a few of the strange things about these alleged terrorists. Someone was clearly laying a trail of leads for investigators and conspiracists to follow. Maybe the apparent sloppiness of their work was really part of the contingency plan all along, to keep us going around and around in circles as the years pass and the horror of the crime slowly recedes from the public conciousness.